Anu joined IJM in 2011 as the Director of Legal in the Chennai office. Prior to joining IJM, she was a Sauve Fellow, teaching at McGill University, in Montreal, Canada. In 2012, Anu led IJM’s Google-funded project to equip NGOs across India to rescue and rehabilitate bonded labor victims using IJM’s casework model. Her pioneering courage and innovation to build this project from scratch resulted in the rescue of 4,000 victims in just three years. Anu moved to the Delhi office in 2014 and led the bonded labor casework partnership team which working across India. 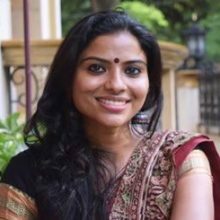 She transitioned to the role of Director of Operations in 2017 and continues to lead the Delhi team in partnering with the government to end violence against the poor. Anu has an unbounding energy and a deep compassion for victims of violence. She inspires people to think big and believe that slavery in India will end soon.